Travelling to or from Belgium? My Baggage can help you with your luggage. When you book with My Baggage, you’ll not only save time and money on your travels, but you’ll have the freedom to travel luggage-free. We provide convenient and affordable international luggage shipping services to help you get your excess baggage to Belgium. Belgium is a small and densely populated country, located in Western Europe and bordered by France, the Netherlands, Germany and Luxembourg. As a result, there are actually three official languages spoken in Belgium: French, German and Dutch. 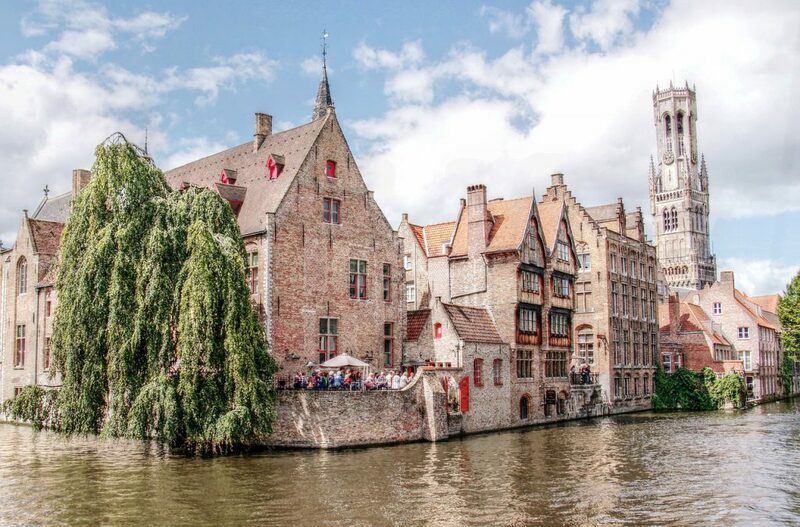 The town of Bruges is, undeniably, the biggest tourist draw in Belgium. 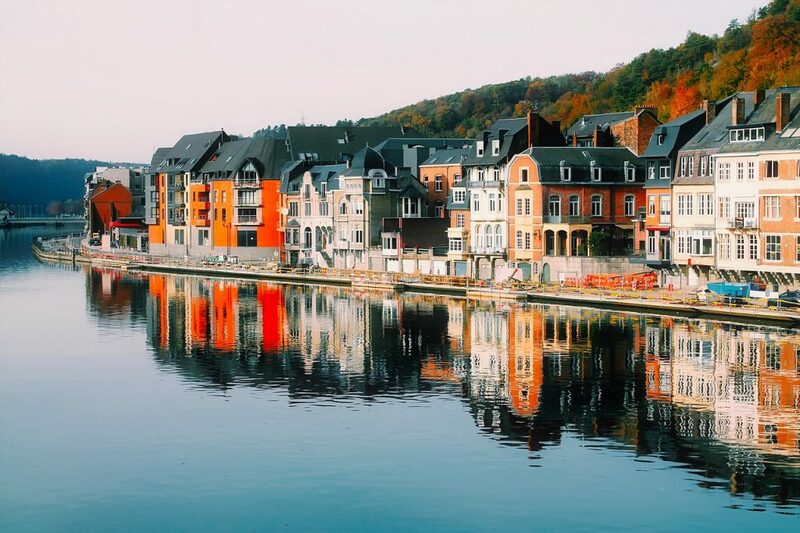 However, there is truly an abundance of stunning architecture and scenic small towns full of charm to be explored all across Belgium. Whilst on your travels across Belgium, it’s imperative to try some of the culinary delights that it has to offer, such as the famous Belgian Waffle. Whether you’re travelling to Belgium to explore the country, to study abroad, or to relocate permanently, there’s always the question of how to transport your personal belongings there in one piece, and in a way that won’t break the bank. The easiest, most obvious options would be either carrying your bag with you on your flight to Belgium, or alternatively, hiring a traditional removals company to take care of the bigger shipments. These options, however, may not align with your needs, your timescale, or your budget. Thankfully, My Baggage offers a brand new approach to transporting your luggage overseas. We strive to remove all of the stress and costs involved in paying out for expensive airline baggage fees and out-of-budget removals. At My Baggage, we make transporting your unaccompanied baggage across the world a surprisingly easy process. To send personal belongings to relocate with family. To send personal belongings to relocate for business. To send a care-package to a loved one in Belgium. To send personal belongings to study abroad. To send luggage ahead of enjoying a relaxing holiday. My Baggage is open to everyone, whether you are a business user, a holiday maker, a student, an expat or simply moving house. No matter your reason, absolutely anyone can take advantage of our competitive prices and excellent door to door shipping services. My Baggage provides the ultimate convenience in allowing you to arrange everything from the comfort of your own home. You can book your luggage shipment online in minutes, and we will collect your items straight from your front door and deliver them straight to their destination in Belgium. There’s no need to leave them at a drop-off point, nor will you be required to venture out to collect them at the other side. It’s effortless. At My Baggage, we understand that when it comes to your personal luggage, it’s only natural to feel some apprehension about handing everything over to a delivery driver. That’s why we strive to provide an international luggage shipping service you can trust. When you book with us, we’ll make sure that you are given the peace of mind of always being kept in the know. From the moment you place your booking on our website, until the moment your items arrive safely with you, we will keep you up to date on the status of your shipment. We will provide access to full online tracking information, so that you can monitor the progress of your shipment every single step of the way to Belgium. You’ll also be given the option to opt-in for SMS and email notifications to stay up to date on the go. If you happen to have any questions or concerns along the way, our dedicated customer support team will be there to help. You can contact us via phone, email and live chat. Take some time to research Belgian quarantine and customs. Find a reputable international removals or shipping service. Choose the service with costs and transit times that best suit your needs. Package all items securely with plenty of internal cushioning for fragile items. When heading to Belgium with oversized or excess baggage, you could be hit with expensive airline fees. You can avoid paying these fees, simply by using My Baggage to ship your luggage to Belgium! Oversized items includes sporting equipment such as skis etc. If you have any questions about the oversized or excess baggage, please contact us and we can help you. Getting your bike to Belgium isn’t as difficult as it sounds. You can ship your bike to Belgium with My Baggage at a low cost and explore Belgium by bike. We can collect your bike from your front door and deliver it directly to the front door or your destination within Belgium, this can take as little as 2 to 3 days to arrive in Belgium, depending on where you are shipping from. Make sure your bike is ready for shipment on the collection date by dismantling it and placing it in a strong, double or triple walled cardboard box. There’s plenty of help out there if you don’t want to dismantle it yourself. You could simply head to a bicycle shop and pay for it to be dismantled by someone who is sure about what they’re doing. When shipping from America to Belgium or anywhere else in the EU, from a country outside of the EU, such as the USA or Australia, you are then legally required to complete and attach a customs invoice to your shipment. Generally, My Baggage shipments clear customs in a timely manner, free from duties and taxes, as most countries offer a generous duty-free allowance for personal effects. However, as customs processes and allowances are different around the world, and because My Baggage has no control over any decisions made, we do advise doing your own personal research into Belgium customs regulations and quarantine before booking your shipment to Belgium. Please make yourself aware of any potential customs duties in Belgium and be sure to follow any and all advice provided by customs directly. At My Baggage, we specialise in shipping personal effects all over the world. This means that, with our convenient service, you’ll have the freedom to ship almost everything you would typically find in a standard holiday suitcase to Belgium. However, it is important to keep in mind that due to security and customs, there are certain items which are prohibited and cannot be carried, as is standard with most shipping companies. Before placing your booking with us, please consider that there are specific items that can be carried on our services, however, they may not be covered under our compensation cover and so should be sent at your own risk. If you do choose to send any non-compensation items, please ensure they are packaged securely and appropriately. Please note that import allowances, security and customs processes differ all around the world; we recommend that you do your own personal research into what may be prohibited in your destination country before booking your shipment to Belgium. When sending your belongings to Belgium with My Baggage, we recommend using either suitcases or strong cardboard boxes to package your items so they are suitable for transit. Booking your luggage shipment to Belgium can be completed with us in just a few simple steps. Start off by obtaining an instant quote. You’ll be given the flexibility to choose your preferred collection date during the booking process. Once you’ve booked, we’ll send you some shipping labels to print and attach to your items. After that, we’ll take care of the rest. Our online booking system is available 24/7, so you can make a booking anytime.